Somewhere between slathering soap on your face before hitting the sack to a ten step K-beauty routine, we grew up. Or, maybe we are being forced into doing things out of social pressure (or rather social media pressure) without necessarily adopting the right practices. It distracts us from the things that actually need our attention – like double cleansing. 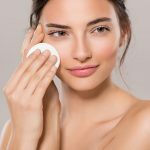 Double cleansing is a fundamental and very simple skin care technique that is not talked about enough. Let’s bridge that gap and talk about it in detail. When Should You Double Cleanse? As the name suggests, double cleansing is a two-step cleaning process. Why, you ask? With the kind of pollution and dust you are exposed to each day, your skin needs deep cleansing every day regardless of whether you wear makeup or not. And just soap does not cut it anymore. In this process, you clean your face with an oil-based cleanser and then with a water-based cleanser. The first step is to remove all the makeup and dust completely, and the second step is to get rid of the stubborn grime that invariably stays behind. Don’t believe that there’s dirt on your face even after cleansing it? See for yourself. 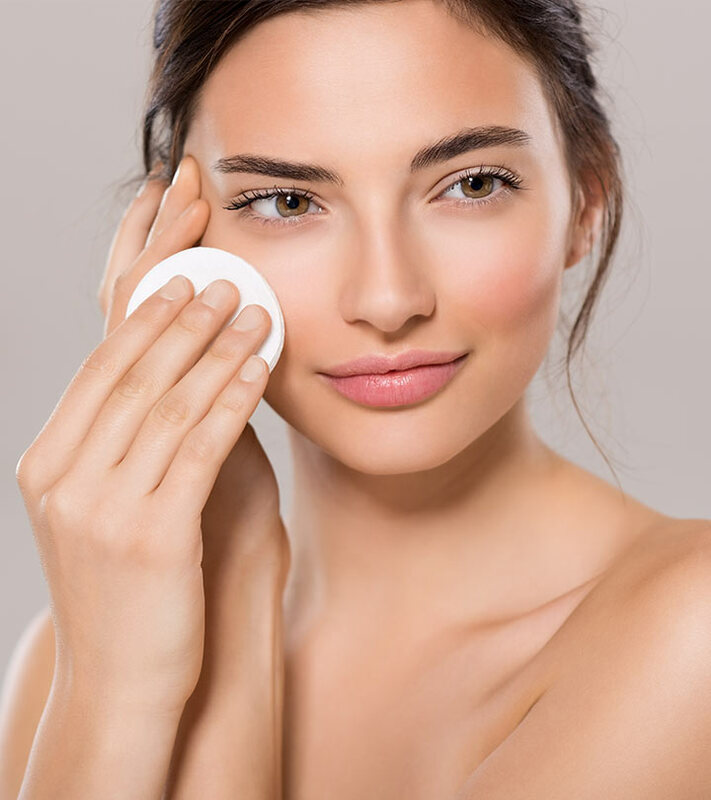 The next time you cleanse your face with an oil-based cleanser, follow it up with micellar water before rinsing it off. You will be surprised to see the amount of residue that is still left behind. We now know what the double cleansing method coined by Korean beauty experts is all about. Let’s break down the steps further and look at exactly you should do. What Does It Do: It removes the significant chunk of makeup, oil, dirt, sebum, and soot (aka pollutants). How To Do It Right: Soak a cotton pad with the oil cleanser and start cleaning your face with it in the upward direction. It’s a great idea to take another cotton pad and give it one last swipe to get rid of the residue. What Does It Do: It draws out debris, sweat, stubborn dirt, and the oil from the oil cleanser. It ensures that your skin is left squeaky clean. How To Do It Right: Take a coin-sized quantity of the cleanser, add a drop of water, and create lather in your hand. Massage your face in an upward circular motion. Continue to do so for a couple of minutes. Rinse off with lukewarm water. Choose an oil-based cleanser and a water-based cleanser that are specifically formulated for your skin type. For example, oily skin needs products that are non-greasy and light, while dry skin needs a cleanser that has hydrating and moisturizing properties. Let’s take a look at some of the best products for each skin type. 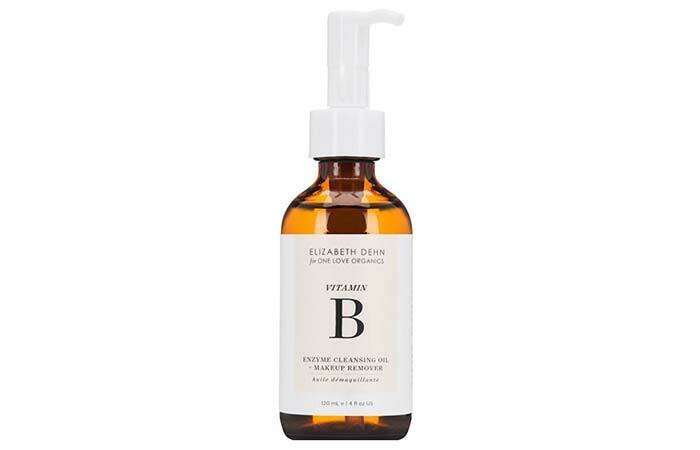 One Love Organics Vitamin B Enzyme Cleansing Oil + Makeup Remover is best for oily and acne-prone skin. It removes makeup and dirt thoroughly and clears impurities from clogged pores. It is made of organic ingredients, and the formula is very gentle on your skin. It contains pumpkin oil that is loaded with vitamins, antioxidants, and fatty acids that your skin needs to keep looking young and radiant. 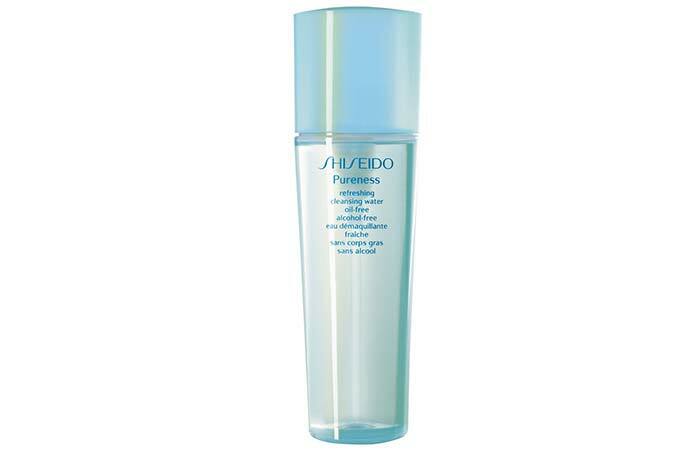 The Shiseido Oil-Free Cleanser is a water-based cleanser that is very light on the skin. It clears your skin of all the impurities, makeup, and grime that clog your pores and cause acne. It hydrates and refreshes your skin. 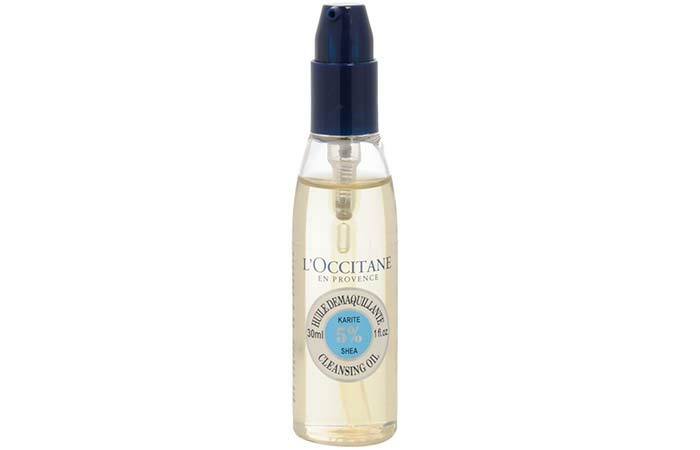 The L’Occitane Shea Cleansing Oil has a silky smooth texture. It contains 5% shea butter that is soft on the skin and gets rid of gunk and waterproof makeup seamlessly. It nourishes your skin with vitamins and moisturizes it as well. Tata Harper Refreshing Cleanser contains purifying fruit enzymes that have natural exfoliating properties. It reduces the effects of environmental damage, unclogs pores, and flushes out all impurities. It also has a cooling effect on your skin. 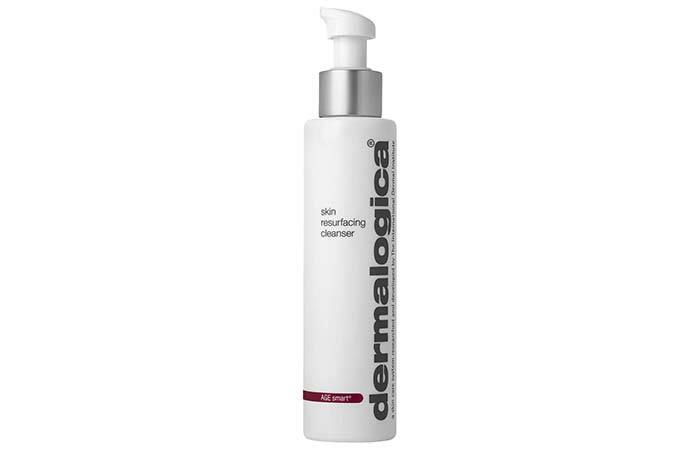 The cleanser is free of soap, so your skin feels soft and not dried out at the end. 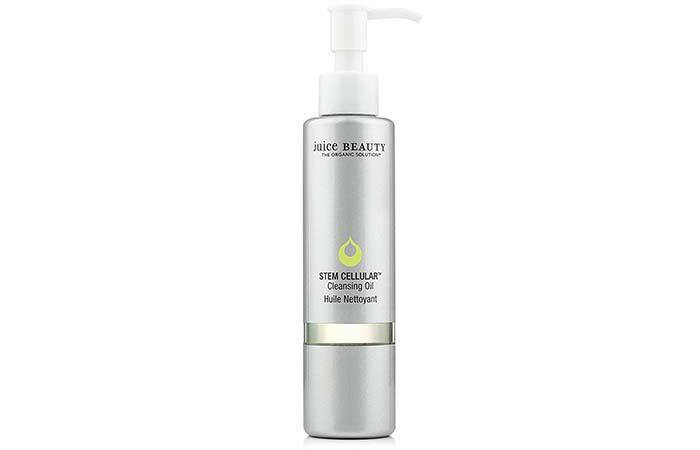 By Terry Cellularose Oil Makeup Remover dissolves makeup, oil, and other impurities easily, leaving you with soft and delicate skin. This gentle non-greasy formula contains jojoba, camellia, and olive oils that nourish and retexturize your skin with its deep cleansing effect. 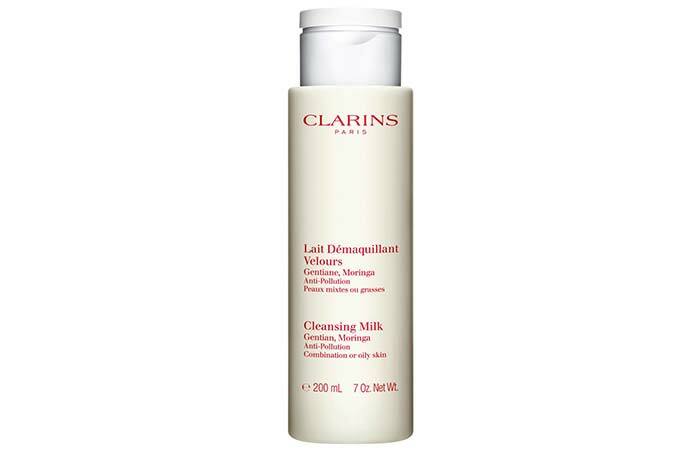 This cleanser by Clarins is the perfect cream-based cleanser for the second step of your double cleansing process. It removes all the residue built up on your face, giving it a brightening effect. It is a unique blend of plant extracts like Alpine herbs, St. John’s Wort, sweet almond, marshmallow, and linden that maintains the moisture balance on your face to bring back the radiance. This pure and gentle cleansing formula is enriched with grape seed, may chang, ho wood, fruit stem extracts, and vitamin C (that is essential for aging skin). It leaves your skin looking plumper and radiant. Get squeaky clean skin with this gentle exfoliating formula that contains a highly active lactic acid concentrate that helps retexturize skin and battles signs of aging. It propels cell turnover while deeply cleansing it. Now that you’re up to speed about the products that are perfect for your skin type, let’s answer the most obvious question – what are the benefits of double cleansing? Double cleansing your face before your daytime/night-time skin care routine clears your skin from within. It also allows skin care products to permeate your skin more easily, thus increasing their efficacy. Reduces acne and prevents new pimples from cropping up. When you have oily skin that is prone to acne, you need to be twice as diligent when it comes to double cleansing. This is because bacteria, dust, and grime cause acne. Reduces redness, inflammation, and soreness caused by acne. It removes the excess sebum that is secreted by your skin and clears clogged pores. Soaps and random cleansers can cause irritation, dehydrate your skin, and meddle with the skin’s barrier function. Having a double cleansing routine in place and using products that are specifically made for your skin type protects your skin’s health in the long run. Double cleansing can do wonders for your skin. But it’s important that you do it at a specific time of the day to reap its full benefits. And when is that? Read on to find out. Always double cleanse at the end of the day as soon as you get back home or before hitting the bed. It is ideal to double cleanse twice a day, once after you wake up (before your daytime skincare routine), and once in the evening (before your night-time skin care routine). You need to do it even if you do not wear makeup because dirt and pollution that settle on your skin over time can damage your skin, reduce collagen production, cause wrinkles, and reduce new cell generation. Double cleansing requires just 5 minutes of your time and discipline every single day to give you healthier skin. It also does not ask for too much of your energy or money. Listen to what your skin is saying and give it all the attention it deserves. Have you started double cleansing yet? Do you have any questions? Write to us in the comments section below. Do I need to oil cleanse if I don’t wear makeup? It is a myth that you need an oil-based cleanser only when you use makeup. The reality is that oil-based cleansers clear dust, grime, pollution, and gunk that invisibly sit on the top of your skin. So, yes, whether you wear makeup or not, you need to oil cleanse. How often do you double cleanse? You need to double cleanse twice a day. First thing in the morning, and once at the end of the day or before you hit the bed. 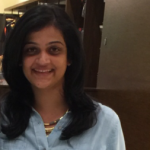 Will an oil cleanser cause breakouts? Using oils right off the kitchen rack that are thick and not meant for your skin type can cause breakouts because of suffocation, clogged pores, etc. Sometimes, certain ingredients in these cleansers can cause breakouts. But, if you are careful in choosing them, you will be fine. Is it ok to use coconut or olive oil as an oil cleanser? Oils like coconut oil, olive, avocado, and other oils that are found in the kitchen are definitely great cleansing agents. However, using them on combination or oily skin type creates a thick layer and clogs pores, leading to a host of skin issues. Cosmetic oil cleansers are lighter but effective. They contain a combination of ingredients that attracts dirt to the surface without clogging the pores.